*This posts has been sponsored by The Home Depot. I've got an important announcement people! Your dad does not want another tie for Father's Day. What the dad in your life really wants for Father's Day is a way to relax and have some fun. 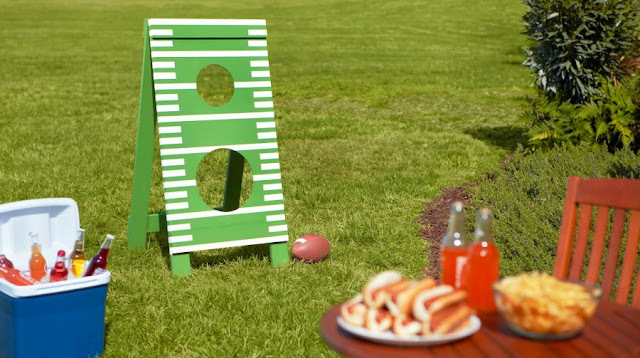 Luckily, The Home Depot is hosting a DIY Workshop at your local store, where you can build Dad one of these awesome DIY Football Toss Games. Click the link below to register at the location nearest you. The Home Depot offers workshops in each store all ages and experience levels. 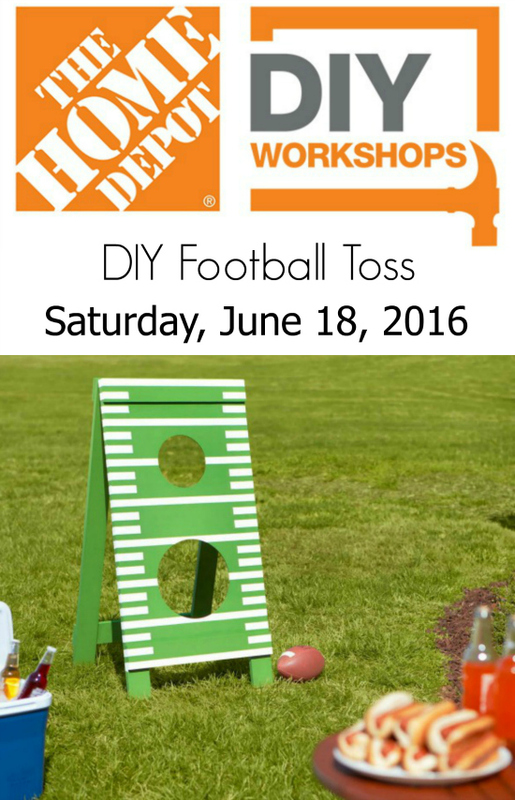 There are Do-It-Yourself (DIY), Do-It-Herself (DIH) and kids workshops. They are a great way to learn how to build fun projects and become more comfortable with tools and home improvement. I've partnered with The Home Depot and was invited by my friend Jenn from Build Basic to put my own spin on this project, which I'll share here on the blog next MONDAY, June 13th. Twenty bloggers have all been challenged to come up with our own creative version of the Football Toss game. Search #DIYWORKSHOP on social media to follow along and get inspired! Once you've attended the workshop, make sure to #DIYWORKSHOP when you share your masterpiece so we can all check it out. Have fun!